Who doesn’t love food? 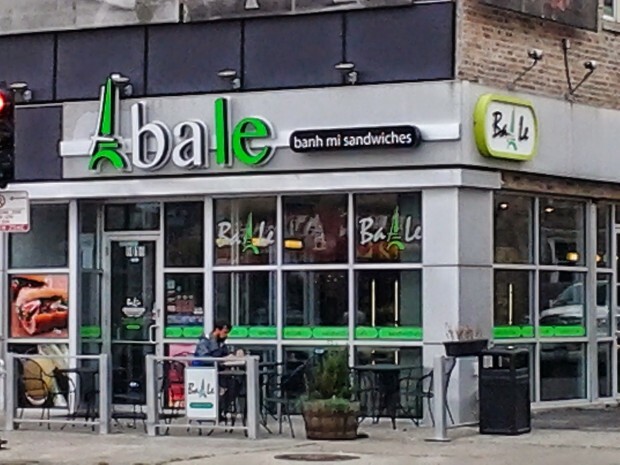 Almost everyone enjoys trying out new, ethnic food and here in our lovely city of Chicago, there are so many interesting restaurants at every street and corner with Zagat reviews, Grubhub options, etc. I can assure you that you will have an adventure of a lifetime and make your taste buds travel around the world in style. 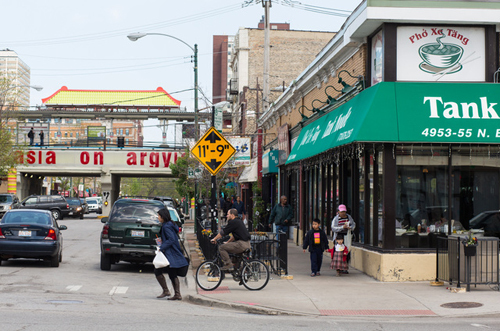 Specifically, I will be blogging on Vietnamese food because Viet-Town is only 4 train stops away from Loyola’s Lakeshore campus and because if you didn’t know already, I am Vietnamese. Getting off of the Argyle train station, you will be immediately see Vietnamese supermarkets and small restaurants such as Viet Hoa Plaza, Cafe Hoang, Uptown Pho, Pho Xe Lua, Nha Hang Hai Yen, Pho 777, Hoa Nam, Lucks Food, Vinh Phat Express, Pho Loan, Chi Quon Bakery, Hong Xuong Bakery, and Pho Xe Tang, just to name a few (all located on 1 street). 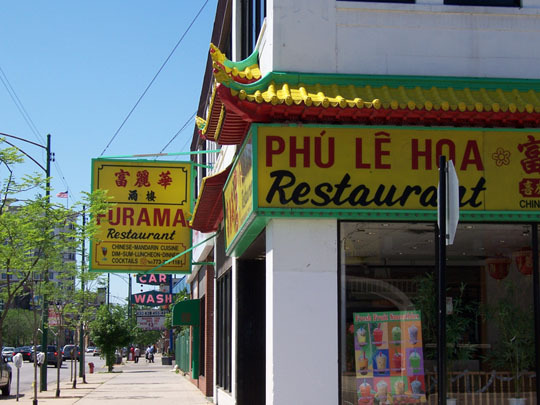 Although you probably do not understand the names of these places, at least one word should stick out to you: Pho! 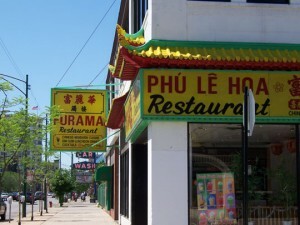 Pho (pronounced: fuh?) 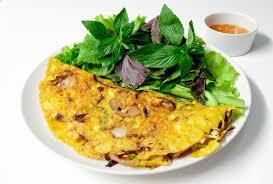 is one of the most famous dishes that even non-Vietnamese people usually know about and/or have tried it out. Pho is a delicious noodle soup with an aromatic broth, topped off with meatballs, beef brisket, green onions, with as dash of Sriracha sauce (optional) and Hoisin sauce (optional). (Man, I sound like a chef!). 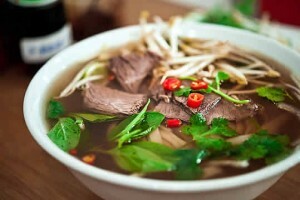 This soup dish is very popular among everyone and if you haven’t tried it out, GO TRY SOME PHO SOON! 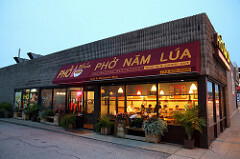 Turning on left on Argyle, you will encounter many other Viet stores. 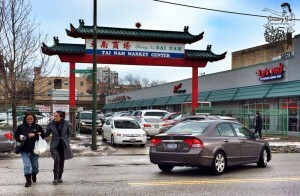 Tai Nam, largest Viet supermarket in Chicago is located here as well. We have salons, nail/beauty stores, insurance offices, video stores, and so much more. 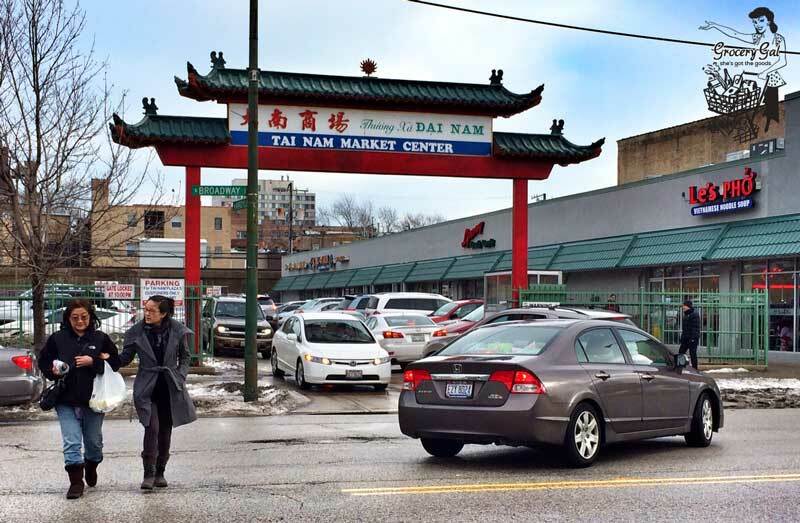 The places are: Ba Le, Pho Viet, Le’s Pho, Kung Fu Tea (not Viet I know), Furama Restaurant, Thuong Xa My A, Lee Nail Supply, Silver Seafood, etc. 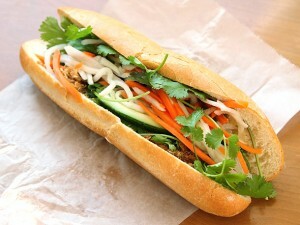 Ba Le (Nhu Lan and St. Henry (Pho May)) are well-known Viet places (French influenced) where you can get Banh Mi. This term is something non-Viets should also be familiar with. Banh mi is basically a sandwich that uses fresh baked french baguette and in the interior, include pate, a variety of meat slices, pickled carrots and daikon, and a selection of fresh herbs like cilantro. It is a delectable lunchtime snack that will satisfy your taste buds. Anyways, let’s talk Vietnamese Cuisine! 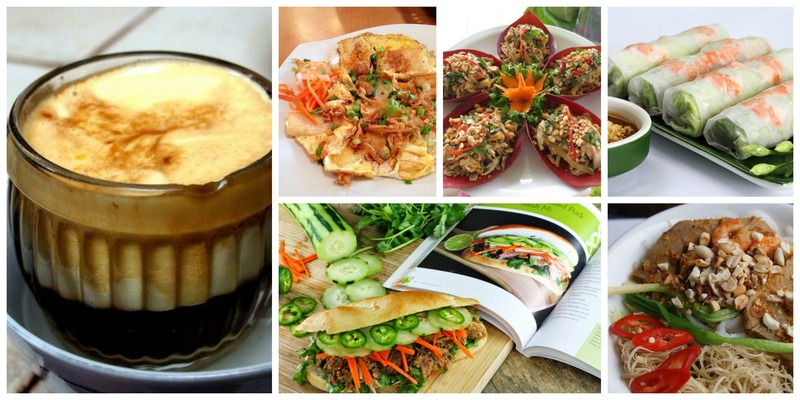 So you now know what pho and banh mi are, but that’s just the basics of Viet food compatible for a first-time Viet-food eater. Let’s go further and get to the good stuff. 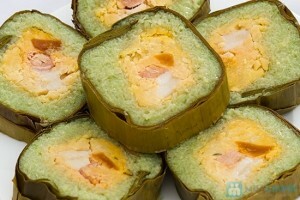 Goi Cuon! (Spring rolls!) Goi cuon is a favorite of mine because it is a very clean, simple dish with an assortment of herbs, cooked pork belly slices, shrimp, and dipped in a tasty sauce! At home, it is fun to make. Ingredients are laid out on the table and you get to make your own spring roll to eat. 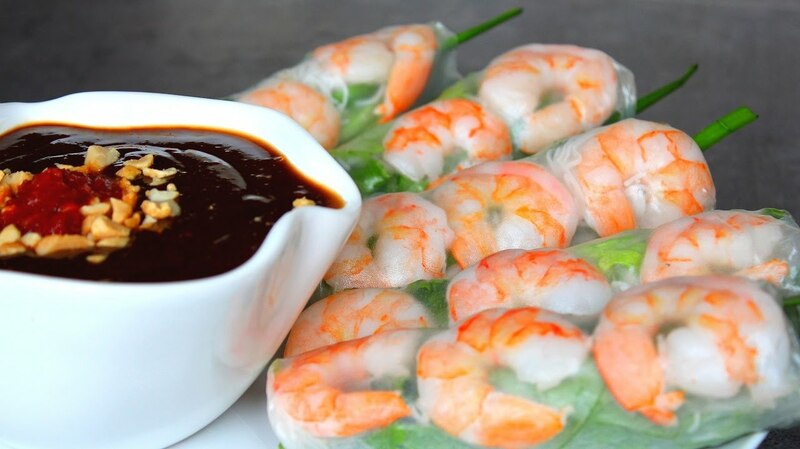 Banh trang nuong! 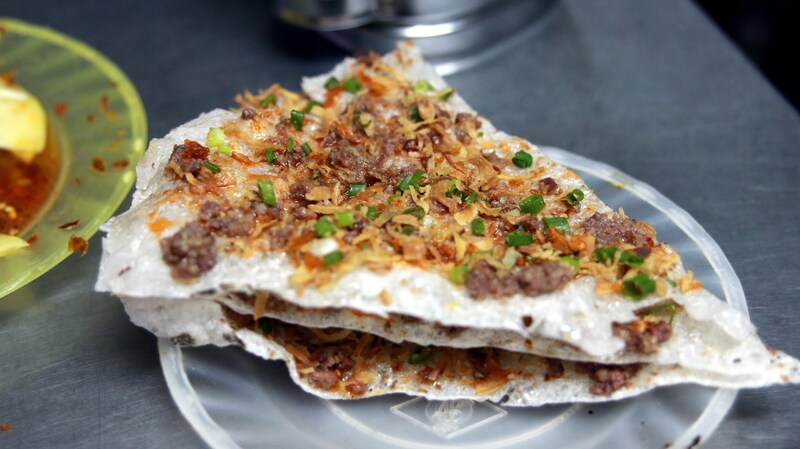 (Rice paper with toppings!) 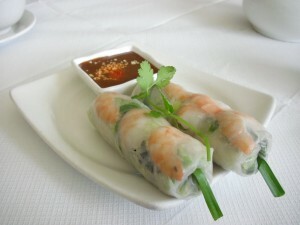 As far as I can tell, this is a new type of Viet dish that is the healthier, Vietnamese equivalent to American pizza. Personally, I have never tried this before, but my friends have and they like this a lot! 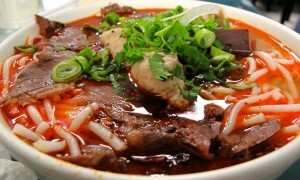 Bun Bo Hue! 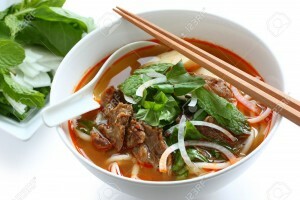 (Beef noodle soup!) Similar to pho, Bun Bo Hue consists of vermicelli noodles, beef shank & brisket , agglomerated pig’s blood, lemongrass, and other spices. The broth has a little spice in it and has a smooth, clean texture. It is also very aromatic as well! 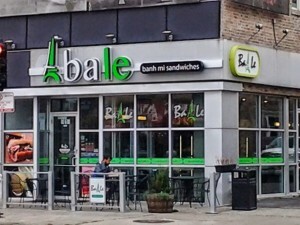 Banh Xeo! 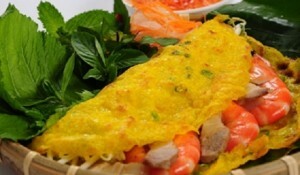 (Vietnamese pancake/crepes!) Banh Xeo looks exactly like a fancy omelette, however, there are no eggs! Just like pancakes, banh xeo is made from batter and fried on a pan. 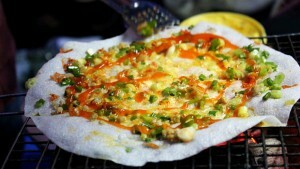 Toppings are added on such as shrimp, meat, and green onion. To finish it off, we can add mint, lettuce, bean sprouts, and other fresh herbs! When eaten, you dip the banh xeo into some fish sauce to enhance the flavor. Banh Chung/Banh Tet (Lunar New Year Cakes)! 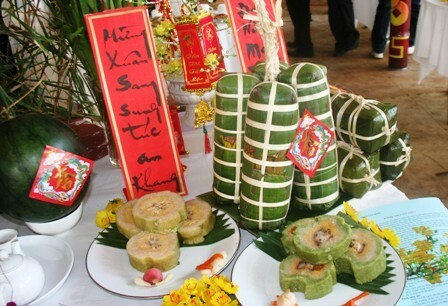 These cakes are eaten traditionally during the lunar new year season (January-February). They consist of layers of pork belly, surrounded by mung-bean paste and a special type of rice. The whole thing is wrapped together in banana leaves and boiled in water for a long period of time. 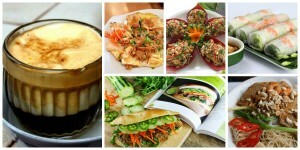 Banh chung/banh tet is commonly eaten with pickled carrots and daikon too! 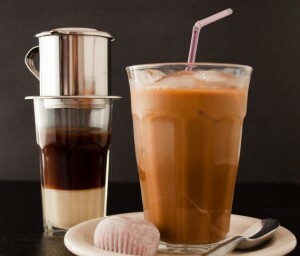 Ca Phe Sua Da! (Vietnamese Coffee!) This coffee is made special using sweet condensed milk. 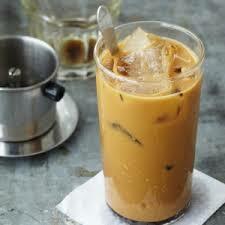 It is good as a hot beverage, but many people I know enjoy the iced-coffee version. It is a tad bit stronger than American style coffee, but it does its job to keep you awake and active during the day! Hopefully this post was appealing to read and maybe made you salivate once or twice. 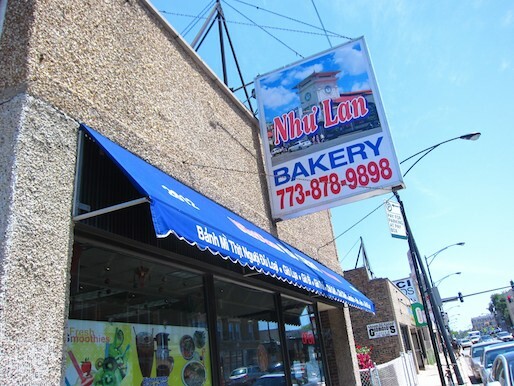 Vietnamese food is good and Chicago is a wonderful city to explore and eat well! 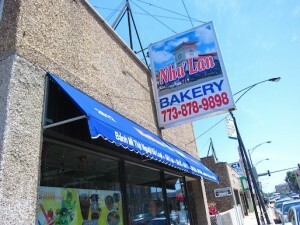 Give Viet food a try!